Research carried out by the University of Adelaide has found that 90 per cent of computers and external USB hubs leaked information to external USB devices thanks to a kind of electronic "crosstalk" between connected components. More than 50 different computers and external USB hubs were tested showing that sensitive information such as keystrokes can be captured. The leak was identified through the use of a modified cheap novelty plug-in lamp with a USB connector to read every key stroke from the adjacent keyboard USB interface. The data was sent via Bluetooth to another computer. According to research associate at the University of Adelaide’s School of Computer Science, Dr. Yuval Yarom, this "channel-to-channel crosstalk leakage" is analogous to water leaking from pipes. Yarom led the research, with collaboration by University of Adelaide student Yang Su, Dr. Daniel Genkin from the University of Pennsylvania and University of Maryland and Dr. Damith Ranasinghe, Auto-ID Lab, University of Adelaide. “USB-connected devices include keyboards, cardswipers and fingerprint readers which often send sensitive information to the computer,” Dr. Yarom said. “It has been thought that because that information is only sent along the direct communication path to the computer, it is protected from potentially compromised devices. Yarom suggested that the solution to the leak issue would be to redesign USB connections to make them more secure. 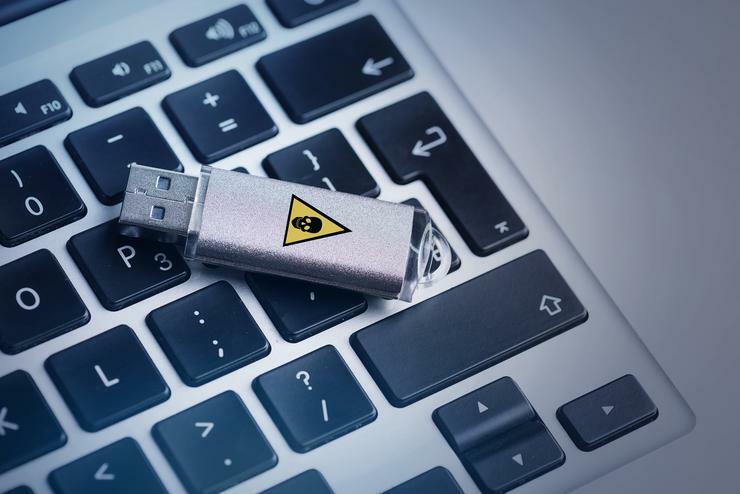 “The USB has been designed under the assumption that everything connected is under the control of the user and that everything is trusted – but we know that’s not the case. The USB will never be secure unless the data is encrypted before it is sent,” he said. The research associate also said that people should not connect anything to USB unless 100 per cent sure that connector is safe. The results of the research will be presented at the USENIX Security Symposium in Vancouver, Canada next week.